Entrepreneurs are making businesses teaching people how to create healthy business habits through podcasts, leadership seminars, bootcamps, and coaching. It is obviously an important issue because people who want to be successful – entrepreneurs – seek out the most effective and/or expensive resources to help them achieve this. Now, we are not talking about learning behaviours and tactics such as how to increase revenues, create a business vision or how to build your network. What we are speaking to here is simple. To be successful, it starts with reshaping who you – the real you, the inner you – is. You have to change your habits and develop new ones. You then have to follow those new habits to shape you into who you want to be. It is all about shaping your habits or behaviours so you think and behave in a more positive, life-affirming and connective manner. 1. They get up early! 2. They follow a morning routine. For example, some meditate, some exercise and some recite positive affirmations. 3. They read books; listen to podcasts and/or audio books because they pretend not to know everything. They are excited about learning new things. 4. They surround themselves with positive people. 5. They eliminate the word failure from their vocabulary. 6. They visualize where they want to be. 7. They force themselves out of their comfort zone by surrounding themselves with like-minded people. They belong to a mastermind group. 8. They hire a mentor. These entrepreneurs just didn’t achieve success by opening a business. In fact, a lot of them failed; but they got back up, dusted themselves off and got back in the race. They had an undying belief that what they were doing was the right thing and would eventually take off – it just needed time and more hard work. They worked really hard the first few years. A lot of 12-15 hours a day but it paid off. They developed a mindset to help them get through their fears and doubts and negativity by having positive self-talk. They realized from the past that there were going to be some tough times so they consistently worked on their inner game. They did not re-invent the wheel. One more important thing, a lot of these entrepreneurs feel very grateful for the position they are in now. They realize that success is empty without fulfillment. They give back and love to help other people succeed. This type of empowerment gives them purpose to get up every day. It is these behaviours that they follow that allow them to focus on their business and think about the world and themselves in a more positive way. Emulate them to shorten your own path to success. 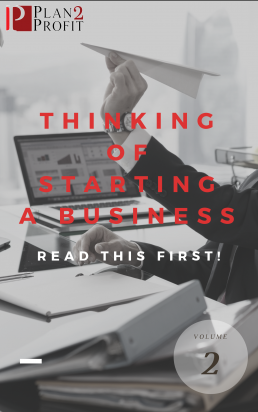 Opening a business can be a daunting task because there are so many things to do, but at the same time, it will be the most rewarding thing you will ever do. Yes, I agree, we do not need to re-invent the wheel but we need to work on our inner game. Just one of the many steps on our success ladder to get us to where we want to be!